Before taking part in the time trial event, you must have signed up to our leagues in the sign-up thread. All drivers will have to complete the time trial event as part of their sign-up. We ask you to please put a reasonable amount of effort into your times so that we get laps that are representative of your speed in these cars. Automatic gears and racing line will be banned in the top tier, so if you expect to be one of the faster guys, then we advise turning them off. 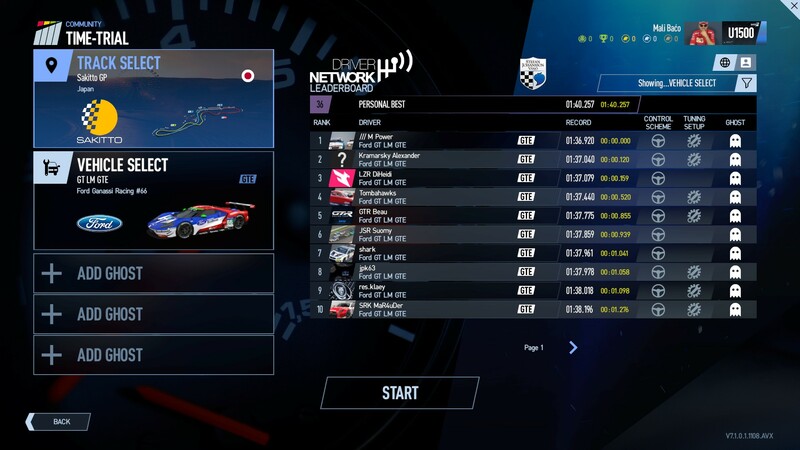 Drivers who use automatic gears or racing line but are too quick for lower tiers will be put into the top tier and be expected to use manual gears. You must complete your times in Time Trial mode, not free practice. We'll be running with Real Driver Aids enabled, however you are free to turn any driver aids off if you wish. Cars: Please complete a Time-Trial using one of the cars from the classes LMPH or GTE, depending on which class you want to drive. If you do not achieve the cut off point, you can try for another class, or in the event of Multiple Tier's, you can Sign for the lower Tier. I want to run in the LMP1H category but I put the 2 times in case I did not enter the times of that category and run in GTE. Just a placeholder if I don't improve. Not bad for a rookie?